Aircrack-ng suite has long been able to do all of this. As well as its numerous wrappers (for example, Wifite and airgeddon) can perform that. 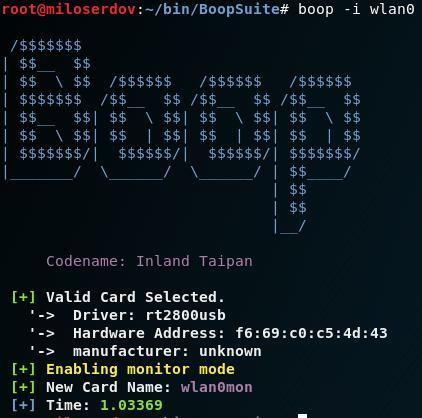 A feature of BoopSuite, due to which it is worth paying attention to this package, is that it is written in pure Python and does not depend on Aircrack-ng. Therefore, if you have any problems with the Aircrack-ng package, then you should try BoopSuite. For example, if Airmon-ng reports that the wireless card is in monitor mode, but actually, this does not happen, then try BoopSuite. 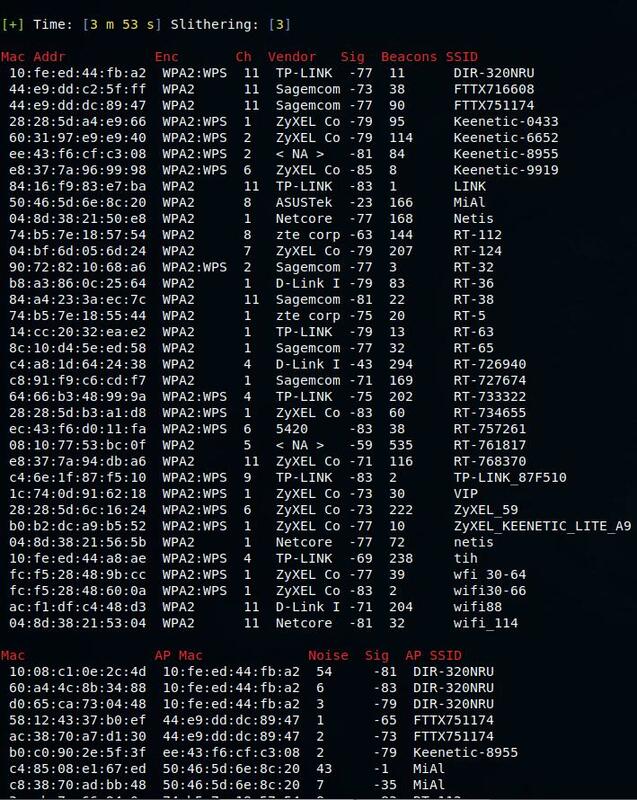 I also noticed that BoopSuite sees more wireless networks than Airodump-ng. Well, for deauthentication attack instead of Aireplay-ng, you can try BoopSuite. After that, the program can be run from anywhere, without specifying the path to the file. 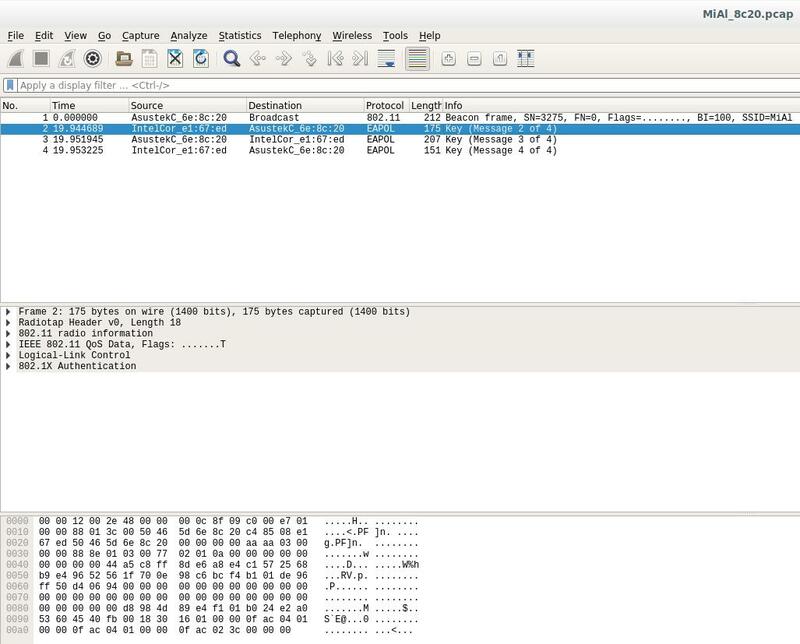 For details on the scripts that are included the package, about their options and about the graphical interface, click https://en.kali.tools/?p=462. Obviously, you need to have a wireless card that supports the monitor mode. Well, in my case the new name is wlan0mon. We will use it in all subsequent commands. Note that if you want to use the -c option with 5GHz frequencies, you need to specify both -f 5 and the -c options with the desired channel number; otherwise you will get an error. That means a handshake is captured. You can stop both programs.